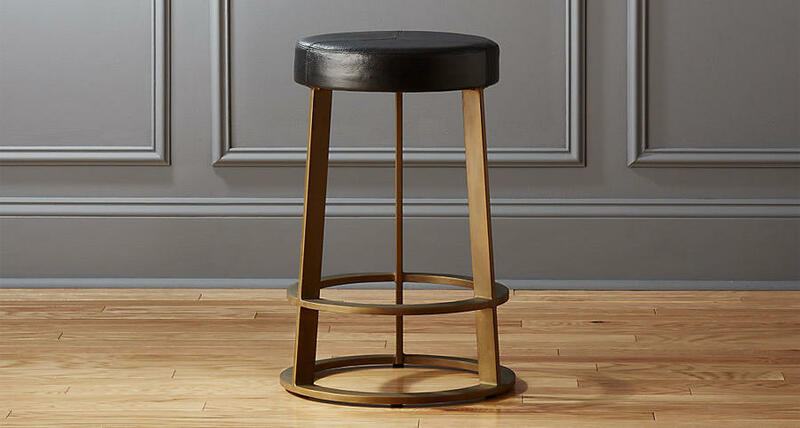 With a yoked back and scooped seat, this stool does double duty as kitchen bar sculpture. 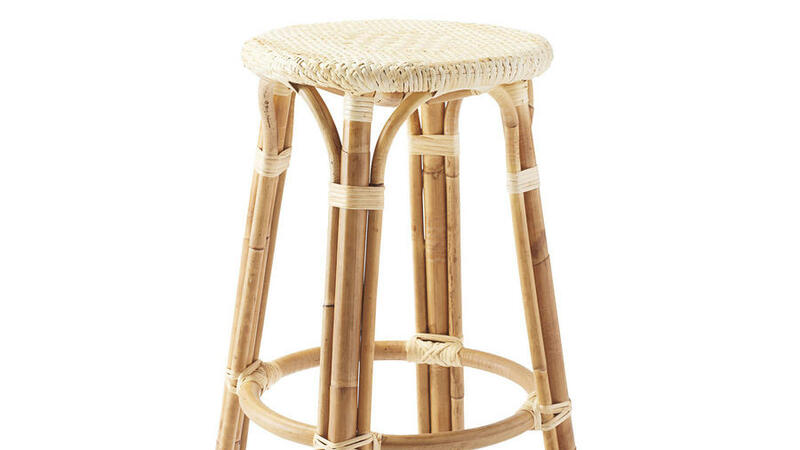 Daydream that you're sipping espresso at a Parisian bistro while perched on these rattan stools with woven seats. 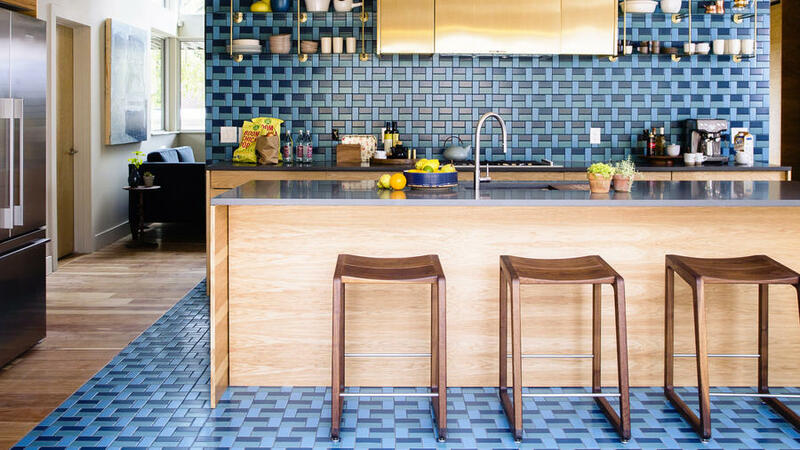 These dark wood stools with a slightly curved seat contrast with the light wood cabinetry and complement the two-toned tile in this stunning kitchen. 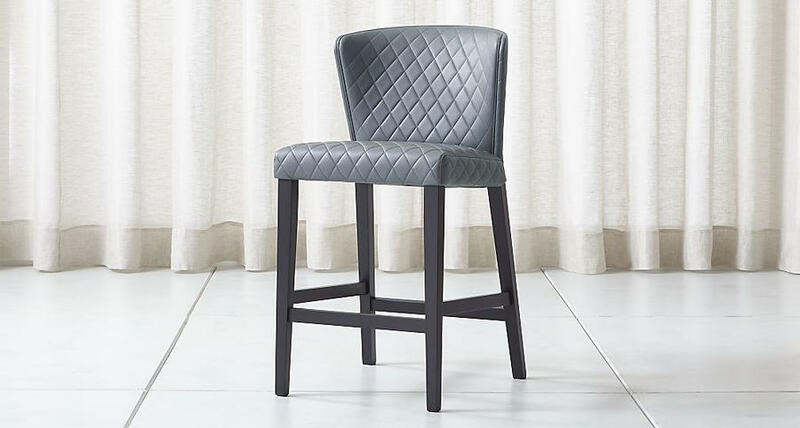 These stackable bar stools with a geometric design are show-stoppers at the bar (and extras store easy). Don't let this jaw-dropping clean-line contemporary design fool you! The leather-covered seat and back are padded. 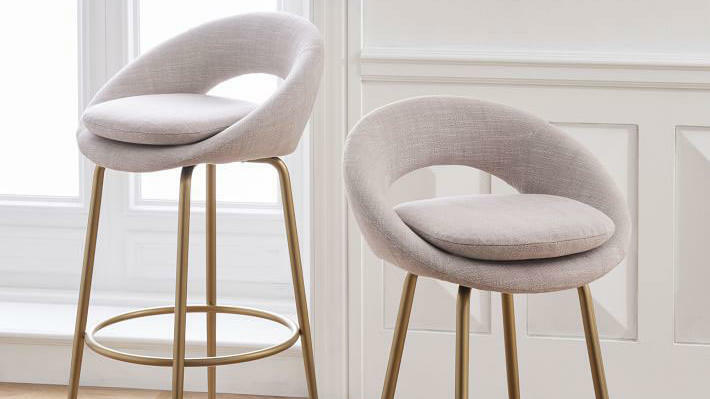 Elegance meets coziness in these orb-shaped stools that look like they should be walking the runway. Dark kitchen cabinetry? 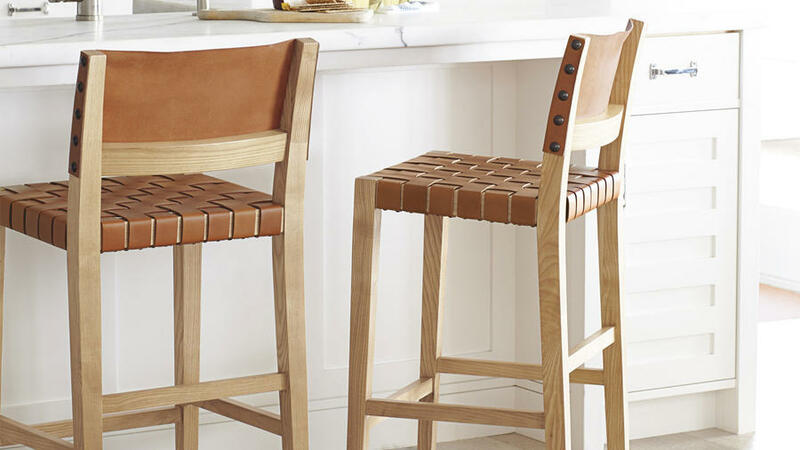 Choose light-colored bar stools (and hardware) for a bold contrast. Cozy up to the kitchen counter on a stool reminiscent of your favorite dimly-lit bar. The leather-covered foam cushion means you'll linger for hours. 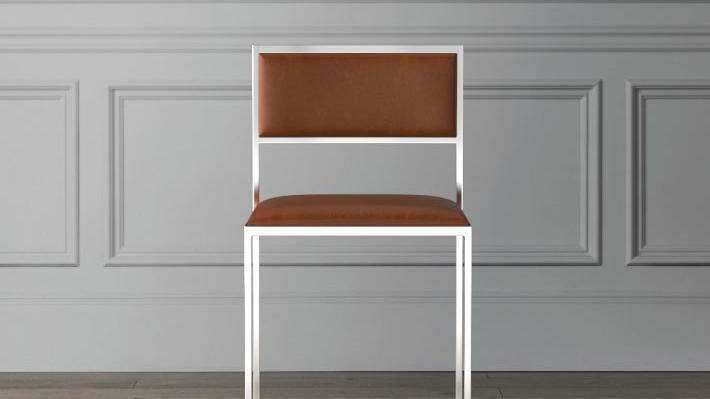 Back support is served with a diamond stitch in this counter stool with solid beech legs. 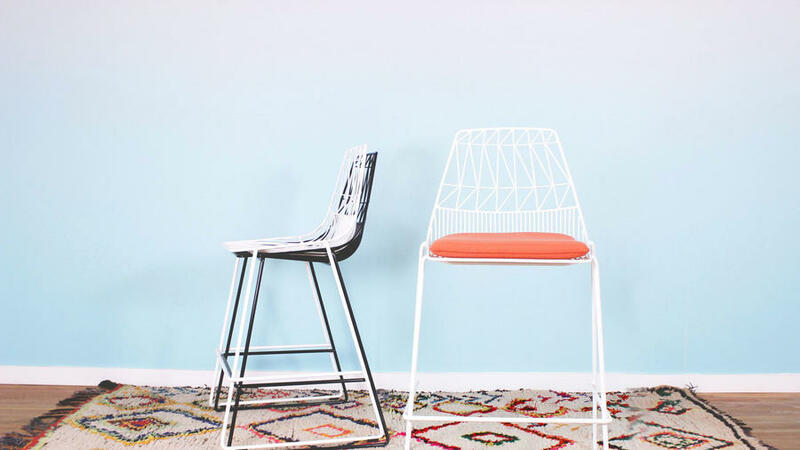 Great for households with kiddos: The “leather” is synthetic, which makes for easy care and durability. 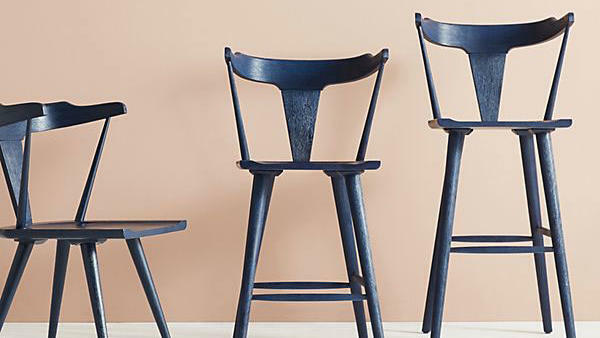 Dress up a neutral kitchen palette with these chairs featuring naturally beautiful materials: saddle leather, brass hardware, and a natural ash frame.